Russia is one of the largest manufacturers and exporters of military equipment in the world and their products are widely used. They are the only nation other than the US, to have every possible kind of military equipment from long range bombers to next generation submarines. Their weapons feature in basically every local and international conflict and are typically used against their western counterparts. Some of the Russian weapons are superior to their western equivalents, some inferior and the others, on-par. There are a few Russian weapons which actually have no Western equivalent till date. This article covers the top 10 weapons used by the Russian military. The list is made to ensure an even distribution of Russian army, navy and air force weapon systems of the present and future. Developed as a platform to counter the American A-10 and Ah-64 attack aircraft, the Pantsyr S1 is a successor to the deadly Tungushka. 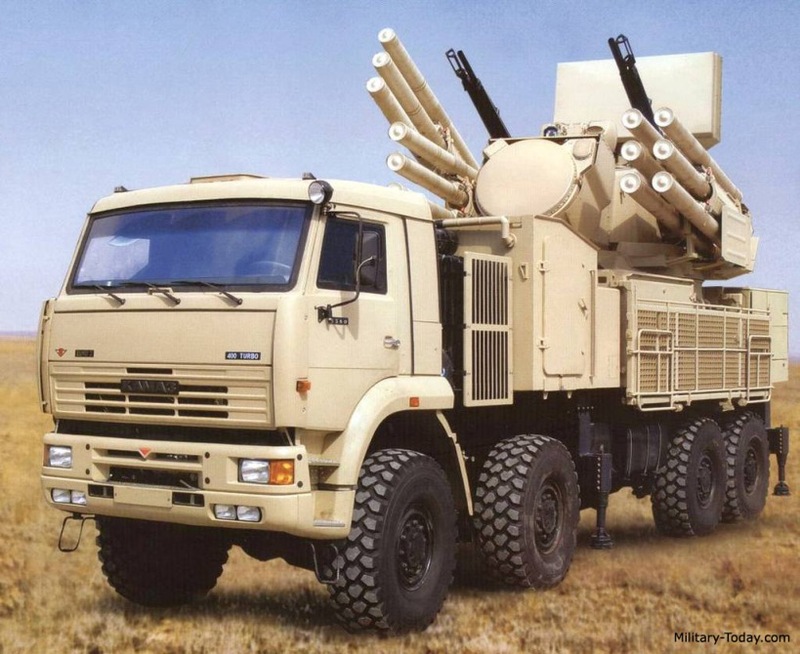 The Pantsyr S1 is classified as a SPAAG-M ( Self Propelled Anti-Aircraft Gun – Missile) since it is mounted on a self propelled platform, the Kamaz 8×8 truck and has both guns and missiles to engage its targets. It provides the high altitude, long range engagement capability of SAMs combined with low-altitude short range engagement capability of AA guns. It has 6 SAMs and dual 30 mm autocannon on each side of the turret for a total of 12 missiles and 4 guns. It has Passive Electronically Scanning Array (PESA) radars, electro-optical and Infrared sensors to detect and engage targets. The 2 dual 30 mm guns can fire at a rate of 2500 rpm each and a total of 1500 rounds of ammunition are carried on board. The maximum engagement range of these guns is 4 km and they can shoot down targets flying as low as a few meters. The 57E6 SAM has a range of 20 km and can engage targets up to an altitude of 15 km. The Pantsyr S1 is commonly deployed to protect strategic missile batteries like S400 and ICBMs from attacks by hostile aircraft and cruise missiles. It can be effectively used as a part of a networked battery or a standalone system. A naval variant is under development and will be used on future warships of the Russian Navy. The Krasukha is a highly mobile and powerful electronic warfare system mounted on an 8×8 Baz truck, designed for offensive and defensive electronic warfare. The Krasukha-2/4 are designed to jam enemy drones, AWACS, reconnaissance aircraft, and satellites in order to disrupt the enemy’s C4I (command, control, communications , computer & information) infrastructure. They can also jam the fire-control radars on board fighter jets and missiles, thus preventing them from launching attacks. By doing so, it is possible to create a great deal of confusion and neutralize the technological superiority of western drones and electronic warfare aircraft. The Krasukha-2 is often deployed to defend high-value assets like Iskander ballistic missile batteries by jamming enemy AWACS and drones from as far as 250 km away, thus preventing the enemy from getting a lock on the target’s position. The Krasukha-4 is designed to neutralize enemy Lo-orbital satellites and ground-based radars as far as 300 km away. This allows them to render an enemy’s satellite useless, without the need to physically shoot them down using conversational anti-satellite weapons. Together, they can prevent the enemy from obtaining a clear picture of the battlefield and getting target co-ordinates to launch missiles. In a modern conflict, information is king. By denying the enemy, information of your precise location by blinding them, you immediately gain an upper hand. That is the intention of these systems. The Richag AV is a powerful jamming system intended for use against hostile radars and sonars. It is designed to primarily defend friendly assets from enemy missiles which are guided by radar, by jamming them from hundreds of kilometers away. A variety of platforms like helicopters, ships, aircraft and ground vehicles can be used to mount this system. It can also act as an Electronic Support Measures (ESM) asset and collect data about enemy radars passively. 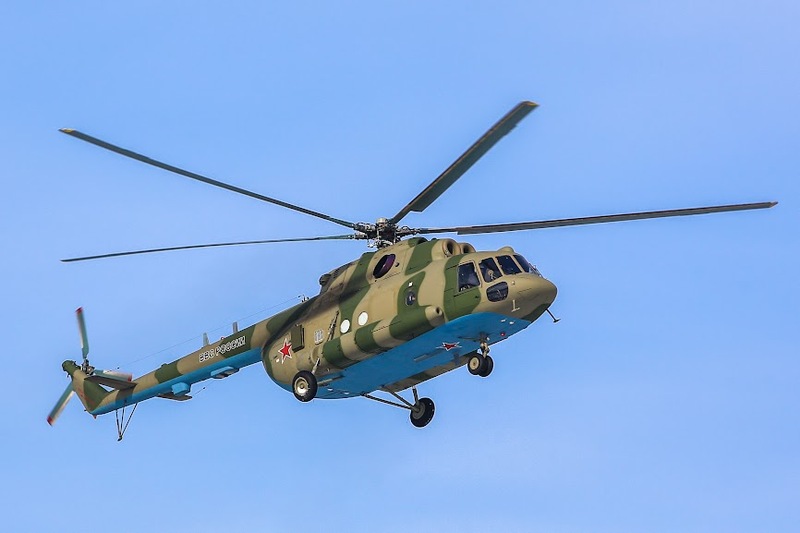 The Russian military has currently ordered 18 such systems mounted on the Mi-8 helicopter and 3 have been delivered as of now. The helicopter platform makes it versatile and allows it to be deployed from any location due to the flexibility of the platform. Operating as a part of offensive forces, they can jam enemy air defense systems to clear a path for invading forces. Since the collapse of the Soviet Union in 1991, Russia hasn’t designed and built a single major warship which had capabilities on par with western destroyers like the Arleigh Burke or Daring class. They focused on smaller frigates and corvettes to rebuild their navy and rightly so, as their economy didn’t support the construction of expensive warships. However, things are different now and Russia is finally able to build a class of frigate with cutting edge sensors and an extremely powerful weapon load which puts it on par with the latest western frigates. The Admiral Gorshkov class of guided missile frigates, which incorporate the best weapons and sensors that the Russian industry can produce, is set to be the mainstay of the future Russian fleet. 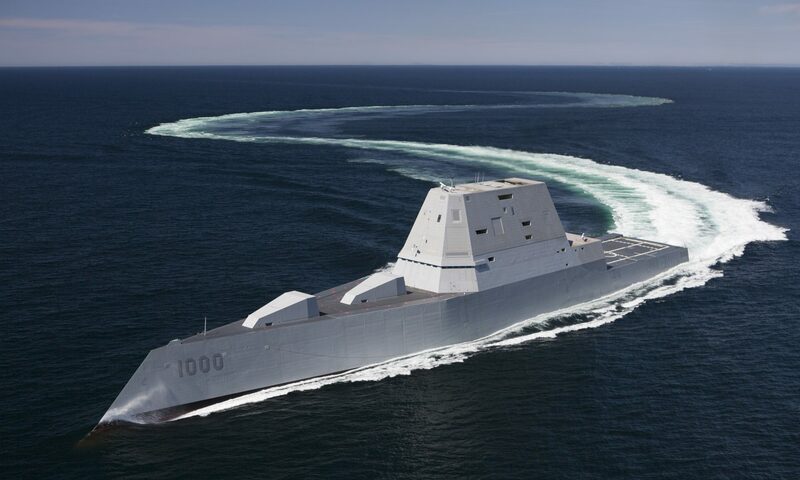 It is interesting to note that its superstructure is made from carbon fiber in order to make the ship stealthy and reduce its radar cross-section. It has a 4 face multi-function AESA radar which can search and track aerial and surface targets as well as provide guidance to the SAMs. This is complemented by a volume search radar which is uniquely mounted on top of the main radar itself. This prevents interference and allows both radars to have unobstructed search capability. Submarine detection capability is provided by the bow mounted and towed array sonars along with the embarked Ka-27 ASW helicopter. The following armaments are carried by these ships to engage surface, underwater, aerial and land targets. A total of up to 15 units have been planned and 4 are presently under construction. Each of the major Russian fleets will receive 3-4 frigates of this class to complement the existing ships and enhance the blue water capability of the Russian Navy. The Armata is a very ambitious combat vehicle project meant to produce a family of armoured vehicles to replace thousands of low-tech soviet-era tanks, infantry fighting vehicles, artillery guns and much more, with a smaller number of high-tech equivalents. The most significant feature will be the use of a common platform for all these vehicles, in order to simplify logistics and production. Only 4 vehicles in the family have been unveiled as of now and the others will be unveiled in the coming months. Equipped with a 125 mm main gun and a 7.62 mm secondary gun, this tank is a revolutionary Russian design, placing emphasis on crew safety and comfort for the first time. The 3-man crew sits in an isolated and protected compartment inside the tank hull and the gun is in an unmanned turret. It features a high degree of automation and has a new active protection system, the Afganit, which is controlled by the 4 radar panels on the turret. The T-15 IFV has a 30 mm cannon, 7.72 mm co-axial machine gun and 4 Kornet anti-tank missiles mounted along the sides of the turret. It provides an unusually high level of protection for the 9 embarked troops and shares many features with the T-14 tank. It is meant to complement the T-14 in battle. The new 2S35 SPH features an unmanned turret for its 152 mm gun, similar to the T-14 tank. The powerful gun has an auto-loader system for a high rate of fire and the 152 mm shells have a range of around 30 km. The small crew of 3 men is enough to operate this system due to its high degree of automation and around 60 shells are carried on board. These vehicles will form the backbone of the Russian army armoured divisions in a decade or so, when a majority of the ageing Soviet-era hardware is retired. 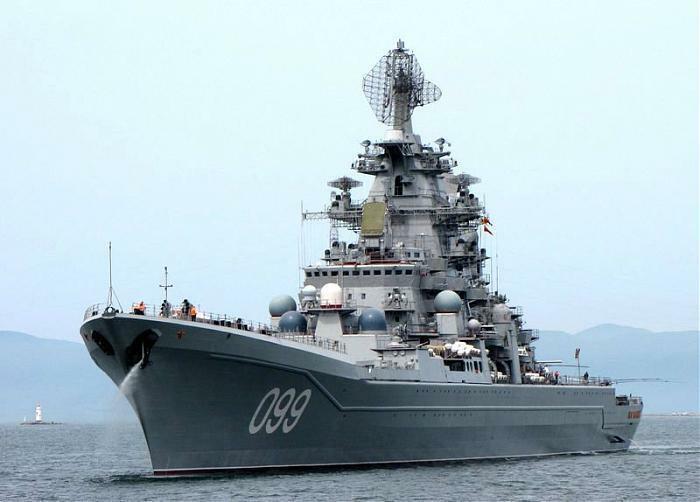 Developed as a platform capable of sinking US Navy carriers using its long-range cruise missiles, the Kirov class cruisers are the largest surface combatants in service at present. It is also the only surface combatant to be nuclear-powered, thereby giving it unlimited range. 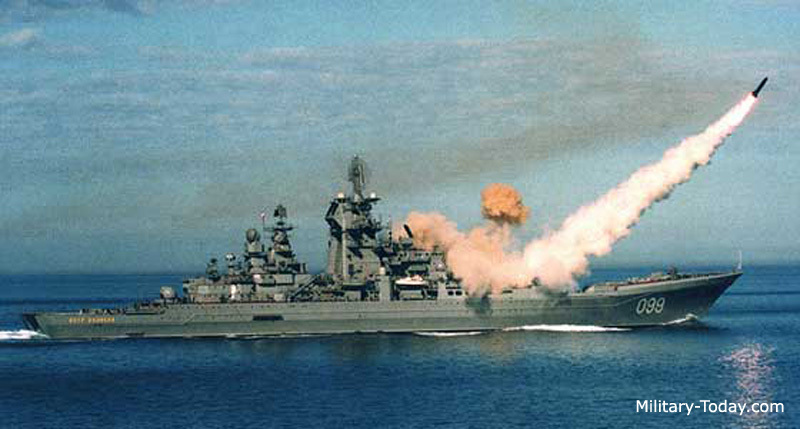 The Kirov class would have topped the list if it had been upgraded with the latest electronics and missiles. It is currently fitted with cold war era radars and missiles and long overdue for an upgrade. One ship, Admiral Nakhimov is currently undergoing a major refit and the remaining 2 are expected to follow suit in the next few years. Only the Pyotr Veliky is in active service as of now. The main strength of this ship lies in its offensive punch of 20 Granit anti-ship missiles, which have a 700+ km range and a 750 kg warhead. They are going to be replaced by 80 UKSK vertical launchers for Onyx anti-ship missiles and Kalibr-NK land attack cruise missiles after the refit. The Onyx has a 300-500 km range and is fitted with a 300 kg warhead whereas the KalibrNK has a 2500 km range and a 450 kg warhead. They are more modern than the Granits and will be more effective due to the larger numbers available. The ships fitted with a battery of 96 SA-N-6 Surface to Air missiles, which have a 100 km range and provide area air defense. It is expected to be replaced by 128 long range 9M96E1 SAMs of the S400 family. The sensors of the ship are expected to undergo a major upgrade, but the details are not available as of now. Although old, these 252 m long and 28,000-ton displacing ships are here to stay. They will be the main power projection asset of the Russian Navy and will be deployed to counter US Navy carriers in Russian areas of interest. Popularly known as Yakhont (export version) or BrahMos (Indian version), the Onyx is the most important anti-ship missile in the Russian arsenal. It is capable of being launched from ships, submarines, aircraft, and even trucks, thus allowing it to be widely deployed. The ramjet-powered Onyx is meant to primarily engage large warships and sink them with its 300 kg semi-armour piercing warhead. The main strength of this missile is its high speed of Mach 2.5-3, which allows it to penetrate most existing air defense systems with ease. It is said to have a range of 300-500 km, depending on the flight path. 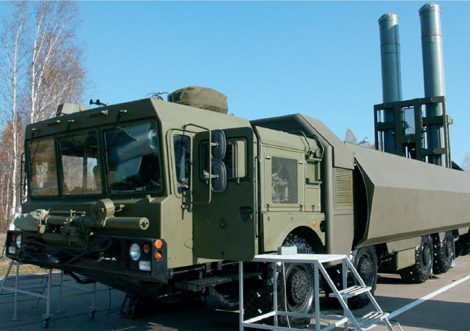 Russia primarily fields the Onyx for coastal defense in the form of the Bastion-P, which carries 2 such missiles per truck. A battery of these missiles can defend the coastline from attack by sea. 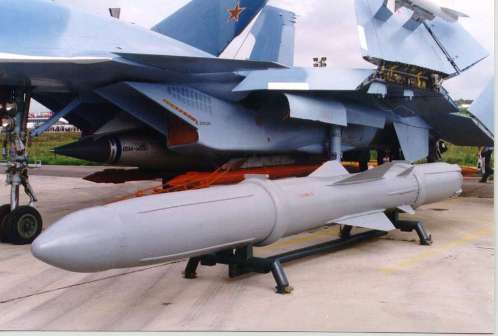 These missiles have been displayed alongside Su-33 and Su-34 fighters during airshows, and they are said to be capable of being fired from these aircraft. 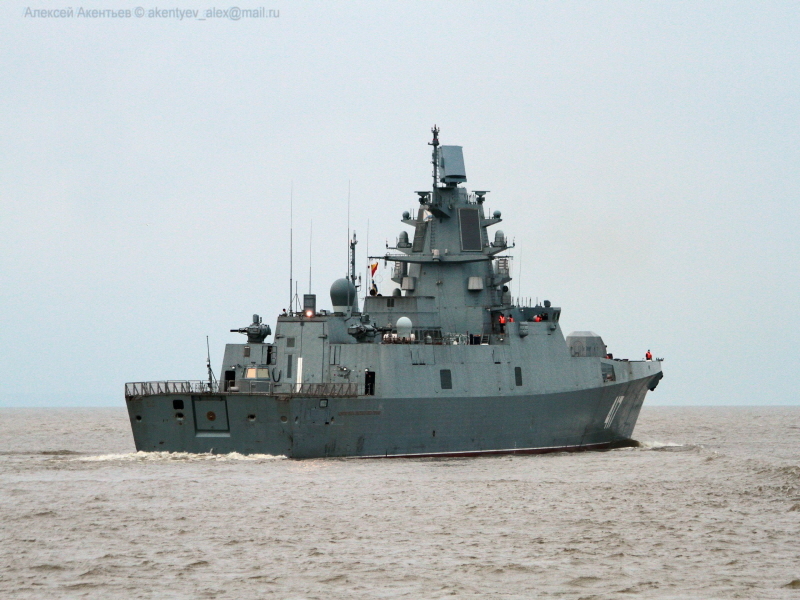 Russia’s new Admiral Gorshkov class frigates are expected to be armed with 16 Onyx. The Yasen class submarines recently test fired the Onyx missile, and they are expected to be equipped with 16-32 of these missiles. The Indian version, BrahMos, has an additional land attack capability and is also being integrated with the Su-30Mki. The word ‘Sukhoi’ is now synonymous with the Su-27/30 series due to its extreme popularity all over. Developed to counter the F-15, the Su-27 design has evolved over the decades into one of the most powerful fighter aircraft in the world. The current variants, the Su-30/34/35 will form the backbone of the Russian Air Force in the next few decades. The main strengths of these fighters are their exceptionally long range and large payload. The Su-30SM is a twin-seat multi-role fighter which is in service with the Russian Air Force and the Navy. It has a tandem twin-seat arrangement and a long range of 3500 km. In an air-to-air mode, it is capable of carrying 12 missiles, usually a combination of R-77, R-27, and R-73. It is currently deployed in Syria to protect Russian assets in the region. The Su-30 family is very popular around the world and countries like India and China operate them in hundreds. The Su-35 can do whatever the Su-30SM can do, but it is a single-seater and carries more fuel as well. It has the Iribis-E hybrid PESA radar as it’s primary sensor and is unique in having wing-mounted L-band radars for detecting low-observable aircraft. The RuAF plans to acquire around 100 of these fighters. China is the first export customer of this potent jet and Indonesia is expected to order them too. The Su-34 is a long-range heavy tactical fighter-bomber, which can carry out precision strikes against heavily defended targets and defend itself with its significant air-to-air capabilities. It has a unique side-by-side seating arrangement, a massive payload of 12 tons and a 4000 km range. It has excellent electronic warfare capabilities which are enhanced by externally mounted jammers. It has proven its worth in Syria, where it is currently engaged in a long bombing campaign. Russia is the only country other than the US to possess long-range strategic bombers. Both the swing-wing, supersonic bombers, were developed during the height of the Cold War and the Tu-22 and Tu-160 remain frontline aircraft even today. 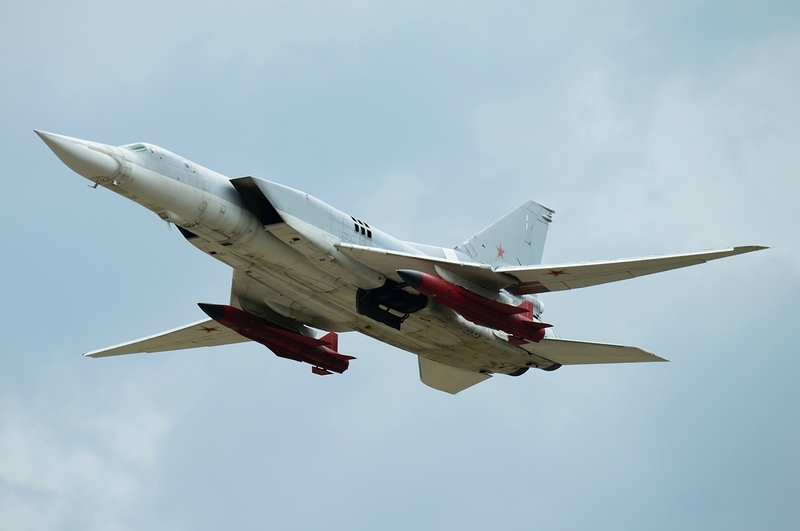 The Tu-22 was designed for long range bombing and maritime strike mission. Projected as a carrier-killer, the Tu-22M used long-range Kh-22 supersonic anti-ship cruise missiles to counter the US Navy’s large aircraft carriers during the cold war and still retains the capability. It has a variable sweep wing design, is capable of supersonic flights and can carry 24 tons of bombs/cruise missiles in its internal bays and under the wings. These aircraft have seen action over Chechnya, Georgia and most recently over Syria, where they launched dozens of long-range cruise missiles. Of the 497 aircraft originally built, 150 remain in service as of today with the Russian Air Force and Naval Aviation. 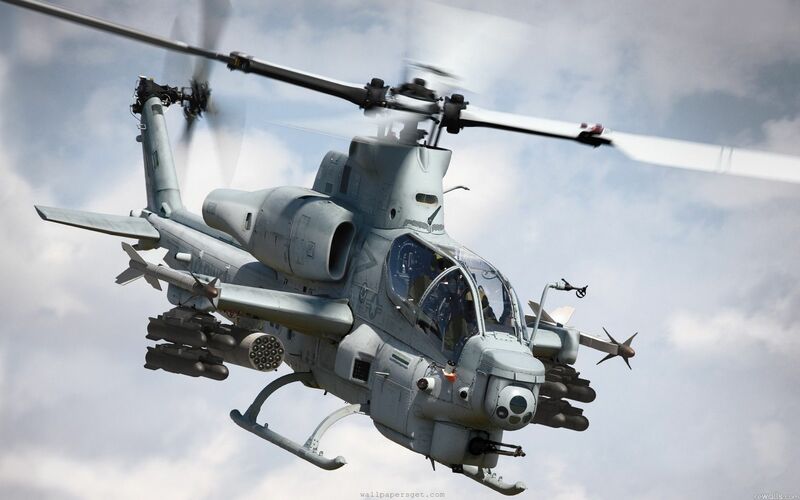 There are plans to upgrade some of the existing aircraft to M3M standard and fit them with a wide array of precision-guided munitions. The Tu-160 was built as a long-range strategic bomber, designed to fly at supersonic speeds. It’s used as a Strategic Missile Carrier and it’s primary duty is to carry and fire long range cruise missiles like the Kh-101, from a standoff distance. It’s Mach 2 speed, 12,300 km range and a 40,000 kg payload make it a very formidable platform. It has the distinction of being the largest and heaviest combat aircraft in the world. The Russian Airforce has 16 aircraft in service, and its production is expected to resume as the RuAF plans to procure a further 50 aircraft. It recently saw its first combat mission, when it fired cruise missiles at targets in Syria. Its primary weapon from now on would be the Kh-101, which can fly at an altitude of 50 m for 3000+ km and hit its targets with great accuracy. The Yasen class was designed to replace the Victor class SSN with an SSGN that could counter the newest American submarines. This 13,800 ton SSGN holds the distinction of being the most heavily armed attack submarine in the world, with its 32 vertically launched cruise missiles and 38 torpedoes. The cruise missiles can be a combination of the long-range Kalibr-NK land attack missiles or Onyx anti-ship missiles. This allows the Yasen to engage a large number of surface, land and sub-surface targets. These submarines feature a high level of automation, which allows them to have a crew of just 90 men! Its primary sensor is the large spherical array sonar in the bow. It is complemented by 4 wide aperture arrays and a towed array sonar. If you notice the tail, the ‘teardrop’ shaped towed-array sonar housing which was so distinctive of the Akula class, has now been eliminated. This submarine will be followed by a smaller and improved class called the Yasen-M, incorporating the latest weapons and sensors. Developed as a successor to the successful and widely deployed S300 air defense system, the S400 offers a significant increase in capabilities. commonly mistaken to be a missile, the S400 refers to a whole family of radars and surface to air missiles, which work in unison to form a lethal air defense system. It is said that the system is capable of detecting, tracking and engaging stealth fighters and bombers. 9M96E – Range of 40 km. 4 missiles per tube. 9M96E2 – Range of 120 km. 4 missiles per tube. 48N6DM – Range of 250+ km. 1 missile per tube. 40N6- Range of 400 km. 1 missiles per tube. The Russian Military plans to have 28 regiments of S400 by 2020. There are 2-3 battalions per regiment and each battalion has 4 systems. Each system(battery) can have 8-12 launchers. In the export area, it has been very successful as China has ordered 6 systems of S400 and India plans to order 12 systems. Russia has way more than just 10 powerful weapons in their arsenal and this article has highlighted the unique ones. Many weapons systems such as the Sukhoi PAK-FA fighter, Yars ICBM, Iskander TBM, Slava class etc do not feature in this list as it had to be limited to 10 weapons only. Ballistic missiles and WMDs are not considered in any of the Top 10 lists published by Defencyclopedia. The PAK-FA was kept out as it is still in its trial stage will be covered in a separate article later on. With the way things are at present, the Russian economy will not hinder the design and development of new projects. However, mass production of critical weapons systems like frigates, tanks, and fighters are the only area where Russia is lagging as it is able to develop hi-tech stuff but unable to manufacture them in large enough numbers. Despite these hindrances, Russia is catching up in areas where it previously lagged in such as micro-electronics and working towards reducing its imports. They will remain the #1 weapons exporter in the world along with the US for the foreseeable future. Enjoyed the article? Rate it below! A well thought out and a thorough article. Gives us a peak into the world of the Russian arms and proves why Russia is the world leader in arms development and manufacture. A job well done. Ha ha ha! And have them shot. Who is shooting who? After America, Russia has the second best arms industry in the world. Yes, due to chronic economic problems, the investments have been less and Russia has lost it’s edge, yet Russia has a formidable defence industry and it will be a mistake to underestimate them. A very good article I must say as it covered all the dimensions. I believe that Russian weapons (whether short arms or vehicles) in general are far more open to future upgradation than there western counterparts take for example the AK 47 which is still the reserve service rifle of Russians, USA had to shift from M16 to M6. Similarly there are so many variants of Sukhoi 27/30 flying today the Chinese, Vietnamies, Malaysian and ofcourse the Indian Su 30 MKI which some say are more capable than its Russian counterparts. The same goes for subs, missiles, helis etc. Talking about the weapons here, No.10 and No.9 are my fav. as they are the perfect examples of out of the box thinking and also they are very cheap solutions for costly technology and machines that many nations can not afford to have. 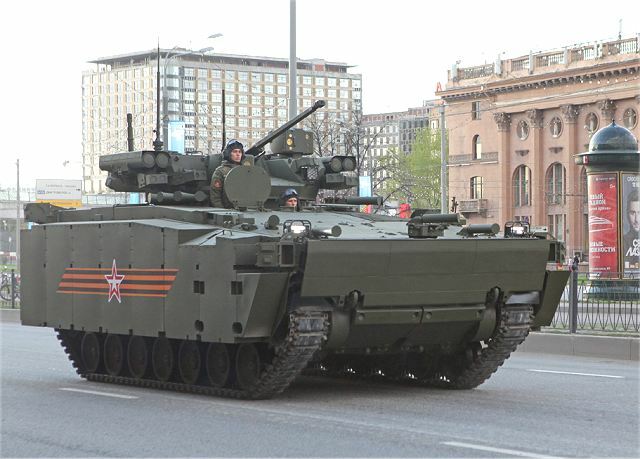 Armata vehicle family is also a very fine example of out of the box thinking as fututre battlefields will also require high number of IFVs and this vehicle family remove the previous problem of production of MBTs like T 90 and IFVs and ICVs like BMP and BTR as they were separate platforms. One question that has puzzled me is that why Russia needs a SU 35? It already has Su30 and Su34 which are almost invincible. So why Russia developed a whole new aircraft? Is it just because of its Range? Russia will ultimately induct T 50/ PA KFA anyways. So where is the benefit of having any stealh like capability if su 35 had any. P.S. We completed reading top 10 Russian war machines and no MiGs were mentioned! Times have changed a lot. Please cover S400 SAMs and KRASUKHA-2/4 AND RICHAG-AV Electronic Warfare System in a separate article as Wikipedia articles aren’t enough. The Su-35 is needed as it is a single seater and will replace single seat Su-27. The Su-30 will replace twin seat Su-27s and the twin seat su-34 will replace the twin seat Su-24. It’s all all bout the seating configuration here. The added advantage of single seat is more fuel and more space for additional electronics. I will try to cover the mentioned weapons in separate articles. And yes the times have changed. MiGs have gone from frontline to secondary aircraft for the Russian military and many others worldwide. Nicely done. Really enjoyed it. The pic for the SU-30 is mixed up with words please fix and there is no pic for T-14 MBT. I have one question. As we all know, China’s J-11, J-15 and J-16 are a total knockoff of the SU-27/30 family of aircrafts. Then why did they opt to buy SU-35 from Russia when they claim their J-11 series is more advanced than SU-35? They don’t claim J-11 is more advanced. They are facing problems with them. The Su-35 is way ahead of their reverse engineered aircraft. Good work NRP, nicely written. I do have a doubt, can S400 deal with stealth planes like f22 or B2 Bomber. It is claimed that it’s radars can detect and track them. It’s very tough but possible. 1. S-400 can track B-2 spirit bomber, F-22Raptor and F-35, is that true ? 2. You don’t think, Moskit also deserves place in top 10 ? 3. China buying Su-35, so Russia decided to Transfer Su-30SM technology to India, so until China get delivery of 25 Su-35, India will have Su-36, Is that true ? 4.Indian Aircraft are going to US for Red Flag exercise,without AEW&C, Do you think, Su-30MKI and F-22 Raptor will have dogfight or BVR combat ? and If yes, Can Su-30MKI defeat F-22Raptor without AEW&C ? These are some very good questions. 1) The UHF radars which are deployed with S400 are said to be capable of tracking stealth aircraft. It would be tough to get a missile lock at long ranges. 2) Moskit is old and pretty outdated. 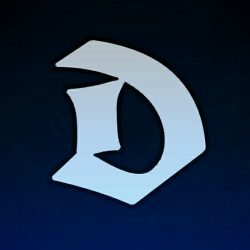 Onyx is its replacement and is there in the list. 3) India is getting ToT for su-30 spares only. And there is no aircraft called Su-36. 4) US is unlikely to deploy F-22 against Su-30Mki. If they do faceoff, then the Su-30 stands little chance against it. If the scenario is WVR without radars on both sides, then Su-30 has an advantage due to its IRST , which can track F-22 passively at close ranges. Thanks, In RedFlag, which Aircraft US will deploy against Su-30MKI ? F-16Viper, F-15 or Thunderbolt ? Su-30MKI already fought many dogfights with F-16, You don’t think, F-16 is outdated ? which US Aircraft, Do you think, Is toe-to-toe worthy opponent against Su-30MKI ? F-15 and F-16 new variants will be deployed. They aren’t outdated and are same gen as Su-30. F-15 is a match for Su-30. F-16 latest versions like V and Blk60 are also very advanced and not outdated from any angle. Ok, So you mean, Once again F-15 and F-16 against Su-30MKI, thanks for sharing knowledge. Sorry, 1 more Question, why US don’t give importance to Maneuverability and why Russia always give importance to Maneuverability ? what is mindset or thinking behind that ? The US does give importance to maneuverability. Russia gives a little more. There is no clear cut mindset behind that. But the fact is the US likes to engage aerial targets BVR, where maneuverability doesn’t matter much. Most missiles of the S-300 and S-400 are radar guided and fly almost the entire distance range using radio back link with the system radar in the ‘silent mode’. The missiles are using own guiding system only at close range to a target. So they don’t need to lock on the target at the launch moment (and it is quite hard to achieve on the long range distance about 300 km; secondly, the aircraft missile launch detection system can inform its’ pilot about the approaching missile and he will have time to evade it, if the missile has been locked on). 4) US is unlikely to deploy F-22 against Su-30Mki. If they do faceoff, then the Su-30 stands little chance against it. Actually, even S-300 has been designed as a countermeasure and response to US AF B1B and F-117 ‘stealth’ aircrafts, including any other ‘older’ targets. The S-400 system has been designed as a countermeasure against cruise and tactical ballistic missiles, including all previous S-300 target types. And, yes, S-400 can see F-22 and F-35 thanks to it L-band radar. It is only a problem for old X-band radars to see F-22 or F-35. 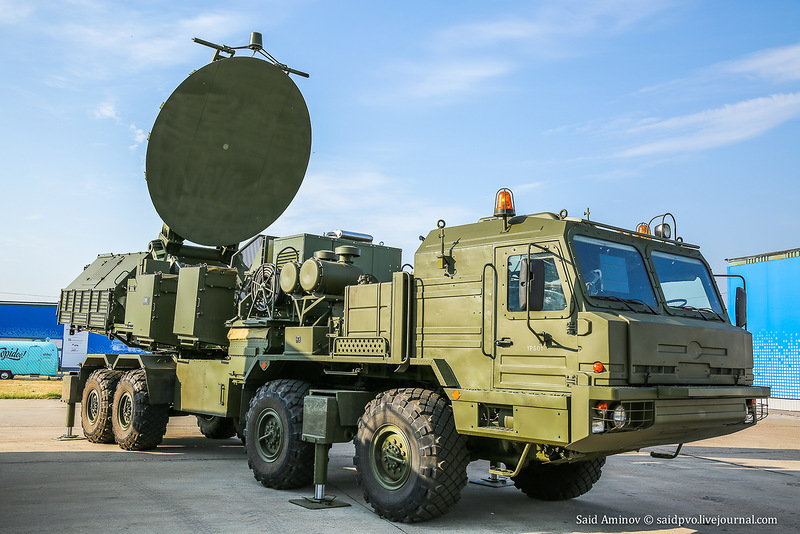 The S-400 system (and future S-500) is using quite complex and advanced algorithms to combine and process data from the different active radars and even from stand-alone passive SIGINT systems. 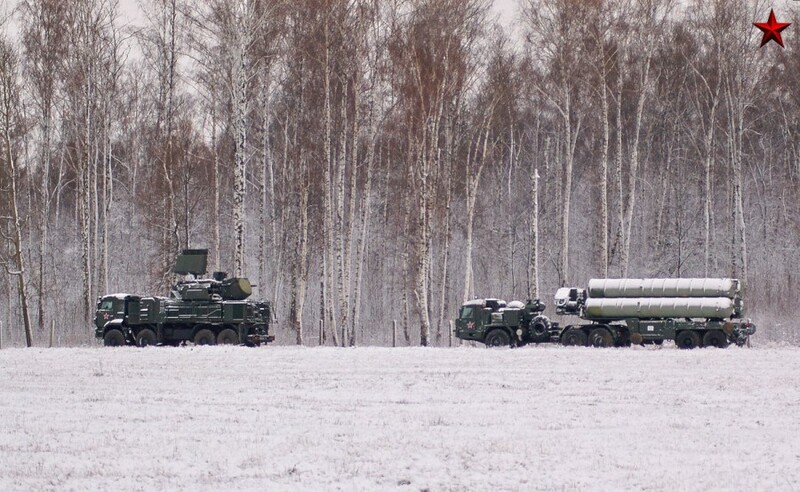 This capability is not advertised widely, but the S-400 command and control units on the battalion level can combine data from other radar and signal intelligence sources. The future S-500 will work together with A-125 regional ballistic missile defence system and together with all other air defence systems of lower level to provide the combined multi-layered air and missile defence field with automatic target distribution between different systems. 1 More Request, Please write 1 Article, Top-10 Technology based ( Not distance based) Ballistic Missiles. In your most articles, I miss Ballistic Missiles, Drones related articles. Maybe short Article, but, Please write some Articles based on Ballistic Missiles and Drones, Individually or Top 10. Thanks. I’m working on an article about ballistic missiles 🙂 Drones will be covered in the future. Ok, always eager to read your next article. Thanks. Can you do a list about the south korean military?? N.R.P. this was the news about Su-36 on defenseworld.net , share your opinion. China’s recent agreement with Russia to acquire 24 Sukhoi Su-35 aircraft is of interest to New Delhi as it would face off against India’s Sukhoi Su-30 MKI fighter in any contingency planning by the air forces of the two countries. The Su-30 was a top-line fighter aircraft when it was procured by India and will be beginning the season of upgrades soon. The brand new Su-35 may be a notch higher. Even though after its upgrade, the Su-30 MKI would have the specs of the next version of the Su-35, possibly a Su-36, aviation experts believe. The similarities between the present Su-30 MKI and the Su-35 are they carry 12 hard-points, besides 8,000 kgs of external ordnance, pulling a maximum of 9G. They have the same air-to-air and air-to-ground weapons package; have thrust vectoring engines and can house external jammers of all varieties and all kinds of pods. This is where the similarities end and the differences begin. The Su-35 carries maximum internal fuel capacity of 11,500 kgs, while the Su-30 MKI has 9,640 kgs. In terms of operating range, there is a difference of a mere 600 kms: Su-35 with 3,600 kms and Su-30 MKI with 3,000 kms. The max altitude they could climb is 17.3 kms (Su-30 MKI) and 18 kms (Su-35); and max speed (Su-30 MKI) – 1.9 Mach and Su-35 – 2.25 Mach (this is a crucial difference in case of a dog fight on after-burners). The Su-30 MKIs canards are a necessity because of its heavy IRBIS radars (Phased Electronically Scanned Array Radar – PESA), while the Su-35 do not need canards as its radars are lightweight. The name Su-36 has been fabricated by them using their imagination. No such aircraft exists. They are ignorant enough to not know that an upgraded Su-35 will have an alphabet ahead of it Eg:Su-35MKK . The numerical designation won’t change. They have also mentioned “possibly” , signifying that it’s their opinion and not a fact. yes, agreed, Thanks for Replying. Actually, it is because you Indians asked about it! 😉 It is NOT about heavy IRBIS radars! They are not so heavy comparing to the body of the entire aircraft! It is all about additional maneuverability of the planer, not about the weight of one its’ part! All ‘Su’ planers quite balanced for different tasks with different fuel quantity and weapon load… Su-35 has better engine thrust, and better nozzle vectorizing. And that’s it! Excellent article..have been reading your articles for some months now. Very well analysed..Looking forward to the next. Keep up the good work. You are totally fantastic on the subject. How about helicopters Ka-50 and Mi-28 and heavy nuclear power and missile cruiser project 1144 “Orlan”? Solid piece of writing NRP. I have few questions. Don’t you think Indian Navy should need at least 20-30 Zubr class or Bora class hovercrafts. These hovercrafts will bolster IN amphibious capability. With help of these well armed hovercrafts IN can easily reinforce island defending troops and provide support for LST, LHD. Is there any japanese MCV equivalent vehicle in Indian Army? Is it true that compared to the Western technology, Russian tech is a bit outdated.or they fake Western tech by spying on them.?. And Russians do not honr the agreement, as in the case of groshkov deal. Partially true. Russia was severely lagging in micro electronics and marine gas turbines. Now they are quickly catching up to the west. Eventually of war between India and China,can India master over China?. Are Indian forces well prepared, and well equipped?. India can just defend itself in its current situation. You have put the points across very well. I am aware of the quadruple redundancy systems on board to Russian fighter jets like the Su-35. We definitely can’t generalise if they are lagging behind in a particular area or not. But it was common knowledge that Soviet era electronics had major maintenance issues and were prone to heating/break down issues. It is only now that most of those problems were solved. Well, it’s quite disputing question. At first, it is impossible to copy an entire technology, even if you get full description or documentation of it. You can copy an idea, a solution, take to account a direction of development or design. But it is impossible just to take it and copy, because it requires to have the ‘know-how’ of entire technological process, materials, integration of different solutions, devices and specific requirements of military people, the similar production & testing facilities, network of factories, tactical and/or strategic roles of the final product in the military infrastructure and in the set of combat tasks. Obviously, it is simply impossible to reproduce everything or it is simply not required by the nature of different approaches in the military culture or different military paradigms of different states. At second, you don’t need to copy something if you can find a cheaper or more effective ‘asymmetric solution’. For example, you can spend billions of dollars and copy the entire F-22 ‘Raptor’ with price of 200-300 millions of USD for one unit, or you may design much less expensive and more effective anti-aircraft defence system, like S-300/S-400. And finally, Russians traditionally never initiate the ‘armament race’, simply because they have less money for military spendings. Therefore, americans always few steps ahead until the moment than Russians 5-8-10 years later will design something more cheaper and more effective. Does India have ICBMs? If yes, name some of them . N.R.P., with full respect, I believe you are not aware of redundancy systems on board of Russian fighter jets. I’m the ex-Soviet officer and a military engineer of such kind of systems, and even me can not say I know or understand everything… 😉 Name me at least one system of Su-35 with quadruple redundancy… I’ll be happy to know about it! Speaking about “common knowledge”, I can tell you, that is not not about REAL knowledge, it’s all about marketing and propaganda… The question of redundancy in Soviet systems was NOT about heating/breaking or maintenance, but about SURVIVABILITY after multiple hits during a battle. I know only few subsystems with quadruple or even triple redundancy in the Russian Army. They all have been related to nuclear submarines or strategic bombers, like Tu-160. And again, it’s NOT about maintenance, it is all about survivability and ability to COMPLETE your combat task, despite to the all resistance factors! Thanks for the information. I had read that Su-35 has quadruple redundancy for its FBW system. Is that right ? Its quite an interesting article.Russia majoring on defence to counter US made arms .If Russia had a financial might as US then they could be a superpower.But i can say both are nearly on par with US on military capability ,arms & nuclear warheads. will survive Russia against America ?????????? Could you do a germane or UK one? Very Nice Article. I have one question for N.R.P. and Maxis, Can you both provide the blueprint of Su-35? Cruisers can be told because of expense but still a viewable option against Chinese navy?